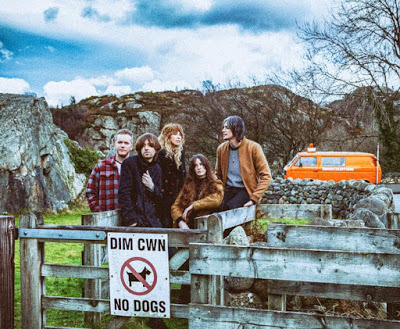 HOYLAKE band The Sundowners are set to release their latest album ‘Cut The Master’ on Wirral based music label, Skeleton Key Records. Set to be unveiled on Friday, April 28, the new album released on vinyl, CD and digital is the follow up to their critically acclaimed self-titled debut. Recorded at Parr Street Studios, Liverpool with The Coral’s James Skelly, Andy Votel and Rich Turvey who has recently seen success with the likes of The Coral, She Drew The Gun and Blossoms. Releasing the video to latest track Ritual the hypnotic drums and warped guitars open doors to a emphatic dual vocal, seducing listeners with a disfiguring green montage. Bringing a more underground seventies folk collaboration, Ritual has a strong bass line that compliments a distant vocal from front women Niamh Rowe and Fiona Skelly. In conjunction with the release the five will share a joint headline tour with Liverpool hero Edgar Jones and the New Joneses who also is set to release a new album in April.